four hundred and fifty five. They’ll probably forget all of the make-up work that awaits them, but for sure they’ll remember time spent doing this. I’m taking a secret vacation in a few weeks. Not so secret, like the “abandon the running car and notify the police” secret, but one that I’m not really telling many people about. No big calendar countdown. No FB posts. Just getting out of dodge for a few days before anyone really realizes I’m gone. Here’s the deal: a few months ago Travelzoo promoted an insanely low round-trip price for tickets to a tropical locale. So low, that I could hardly believe it. So low that it would cost more for me to go to Vegas or Florida for the same price. It was amazing. Even more amazing was my ability to convince my husband to feel as spontaneous as me and actually book it right then (because for these kinds of deals you have to act quickly or they go away). And now that our departure date is getting close, I have to say, I’m quite proud of the fact that we’re going. A few years ago I lost both my mother (not completely unexpectedly) and my sister-in-law (completely unexpectedly) within months of each other. It was a devastating time for my family and me. And as terrible as that time was, it did serve a purpose. It forever etched in my value system the need for family time, for connectedness to the ones we love, and the urgency in finding it whenever you can. It reminded me that time moves faster than we can ever appreciate and you damn well better take the reins when special opportunities avail themselves. Yes, I know it’s frowned upon to pull your critters out of school mid-year for family time on an island paradise. Yes, I know my friends and extended family will comment on our lack of structure and question whether we can really afford or need this vacation (yes and yes, in case they ever read this). But here’s one thing I know: life moves fast, and one little week of disruption to bask in the warmth of the sun and those whom I love most dear (even secretly) is just about the most important thing I can do. 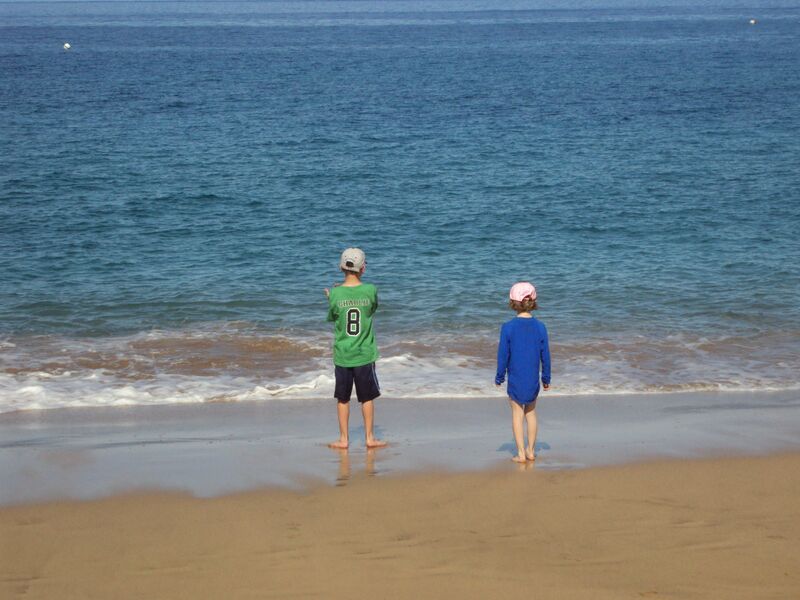 This entry was posted in Is it just me..., Parenting, Work/Life Balance and tagged island getaways, school year vacations, time well spent, traveling with children. Bookmark the permalink.